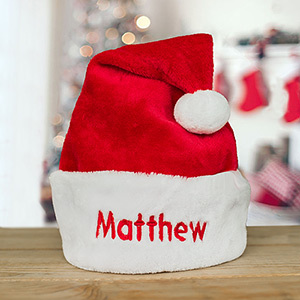 The weather outside may be frightful, but your fireplace will be looking delightful when you hang our beautifully embroidered Christmas stockings on your mantle. Adorned with festive snowflakes, these eye-popping Xmas stockings are great for the entire family to use on Christmas morning. We will embroider this piece with any name in our red thread. These will definitely add a touch of holiday cheer to your home this year. I like the quality and color but the delivery cost me a lot! I bought 2 of these one each for my grandchildren to present them on Christmas! 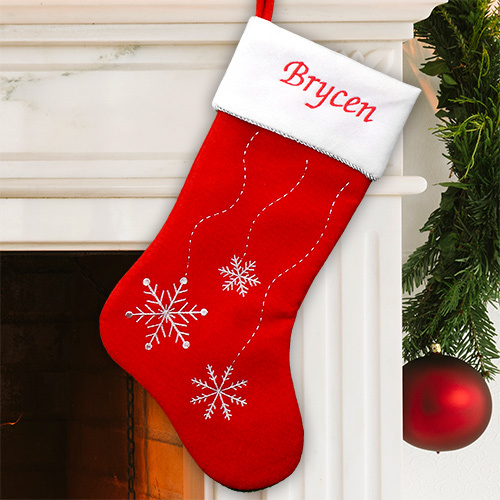 I am so excited because these are high quality stockings that they can enjoy for years to come. Thanks so much!